Busteni station, Romania. Credit: CFR. 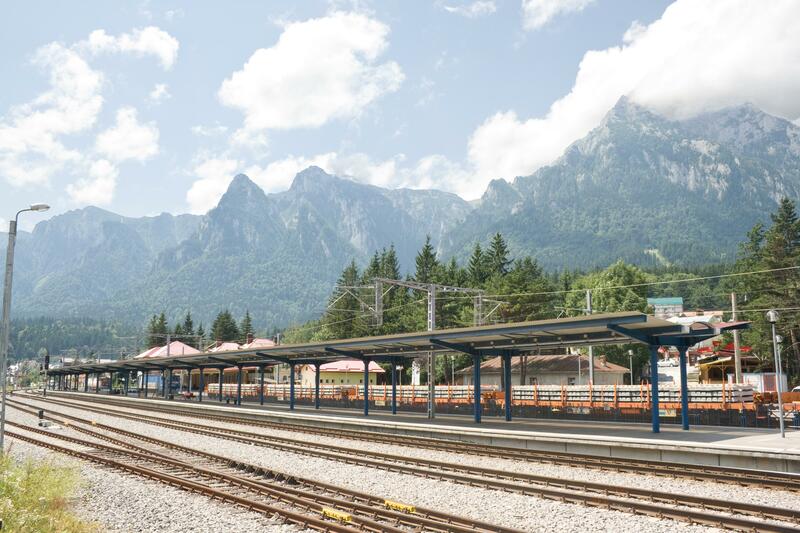 A consortium comprised of Astaldi, FCC Construccion, Salcef and Thales has been awarded two contracts by the Romanian National Railway Company. Around 80km of track will be upgraded on two sections of the Rhine-Danube Corridor as part of a wider European policy to strengthen the connectivity between member states. The project is financed by the EU and promotes passenger and freight links in Europe until 2030. The upgraded lines will allow trains to travel at a maximum speed of 160km/h for passenger and 120 km/h for freight services. As part of the awarded work, Thales will deliver signalling and telecom systems, passengers information and public address systems, CCTV as well as supervisory control and data acquisition systems. Thales said it will also implement European Rail Traffic Management System (ERTMS) with the deployment of European Train Control System (ETCS) level 2 for train control and security and electronic interlocking.